On June 15, 2001, the first meeting of the SCO Heads of State Council was held in Shanghai, China. At the meeting, the six heads of state signed the Declaration on the Establishment of the Shanghai Cooperation Organization, declaring that the SCO was formally established. On June 7, 2002, the second meeting of the SCO Heads of State Council was held in Saint Petersburg, Russia. The six heads of state signed three important documents, namely the Shanghai Cooperation Organization Charter, the Agreement on the Regional Anti-Terrorist Structure and the Declaration of Heads of State of the SCO, laying a foundation for the institutional and legislative construction of the SCO. On May 29, 2003, the third meeting of the SCO Heads of State Council was held in Moscow. At the meeting, the six heads of state discussed such important issues as how to seize opportunities, meet challenges, strengthen coordination, expand cooperation and promote regional peace and development in the new situation, and reached broad consensus. In addition, the six heads of state signed the Declaration of Heads of State of the SCO. On June 17, 2004, the fourth meeting of the SCO Heads of State Council was held in Toshkent, the capital of Uzbekistan. The six heads of state officially launched the Regional Anti-Terrorist Structure of the SCO, signed and approved several important documents including the Tashkent Declaration and the Anti-Drugs Cooperation Agreement, and decided to take new initiatives to promote pragmatic cooperation on security and economy and establish a cooperative mechanism between the ministries of foreign affairs of member states. The Tashkent summit marked the end of the three-year founding stage of the SCO and the entry of a new period of all-round development. At the meeting, Mongolia was absorbed as a SCO observer. On July 5, 2005, the fifth meeting of the SCO Heads of State Council was held in Astana, the capital of Kazakhstan. The six heads of state signed important documents including the Declaration of Heads of State of the SCO, and decided to give observer status to India, Iran and Pakistan. On June 15, 2006, the sixth meeting of the SCO Heads of State Council was held in Shanghai. The six heads of state put forward a long-term plan on the development of the SCO in relation to the theme of carrying forward the "Shanghai Spirit", deepening pragmatic cooperation and promoting peaceful development, signed important documents including the Declaration on the Fifth Anniversary of the SCO and determined the direction and mission for the next development of the SCO. On August 16, 2007, the seventh meeting of the SCO Heads of State Council was held in Bishkek, the capital of Kyrgyzstan. The six heads of state signed the Treaty of Long-term Good-neighborliness, Friendship and Cooperation among SCO Member States, determining the idea of the member states' people of "friendship for generations and peace forever" in a legal form. On August 28, 2008, the eighth meeting of the SCO Heads of State Council was held in Dushanbe, the capital of Tajikistan. The six heads of state reached important new consensus on the key directions of SCO's development and cooperation, guidelines for mutual relations and the basic position of foreign exchanges. Important documents, such as the Dushanbe Declaration of Heads of State of the SCO and the Regulations on the Dialogue Partner Status of the SCO, were adopted at the meeting. From June 15, 2009 to June 16, 2009, the ninth meeting of the SCO Heads of State Council was held in Yekaterinburg, Russia. The six heads of state signed important documents, such as the Yekaterinburg Declaration and the Counter-Terrorism Convention. It was decided at the meeting that dialogue partner status was granted to Belarus and Sri Lanka. On June 11, 2010, the tenth meeting of the SCO Heads of State Council was held in Toshkent, the capital of Uzbekistan. The Tenth Meeting Declaration of Heads of State of the SCO was issued and the Regulations on the Admittance of New SCO Members and the Procedures and Rules of the SCO were approved at the meeting. On June 15, 2011, the 11th meeting of the SCO Heads of State Council was held in Astana, the capital of Kazakhstan. The six heads of state summarized the previous achievements and development experience in relation to the theme of looking back into the past, looking forward to the future, agglomerating consensus and consolidating unity, and signed the Astana Declaration on the Tenth Anniversary of SCO on the basis of the in-depth analysis of international and regional development, to make a strategic plan for the development of the SCO in the next ten years. From June 6, 2012 to June 7, 2012, the 12th meeting of the SCO Heads of State Council was held in Beijing. Leaders present at the meeting exchanged in-depth views on deepening friendly cooperation among the member states and major international and regional issues, planned the future development of the SCO and reached new important consensus. The heads of state signed ten documents including the Declaration of Heads of State of the SCO on Building a Region with Lasting Peace and Common Prosperity. The heads of state of the SCO unanimously agreed to admit Afghanistan as a SCO observer and Turkey as a SCO dialogue partner. On September 13, 2013, the 13th meeting of the SCO Heads of State Council was held in Bishkek, Kyrgyzstan. The heads of state present at the meeting jointly signed and issued the Bishkek Declaration of Heads of State of the Scathe summit approved the Guidelines for the Implementation of Provisions of the Treaty of Long-term Good-neighborliness, Friendship and Cooperation among SCO Member States (2013-2017).President Xi Jinping delivered an important speech entitled Carrying Forward the "Shanghai Spirit" and Promoting Common Development. China announced at the summit that the SCO Good-Neighborliness, Friendship and Cooperation Committee was established. On September 12, 2014, the 14th meeting of the SCO Heads of State Council was held in Dushanbe, Tajikistan. The participants exchanged views on further improving the work of the SCO, developing the long-term and good-neighborly friendship among the member states, safeguarding the regional security, enhancing practical cooperation as well as current major international and regional issues. President Xi Jinping delivered a speech entitled Gathering People's Will and Power and Coordinating Sincerely to Push SCO to a New Level, making four points of proposals. 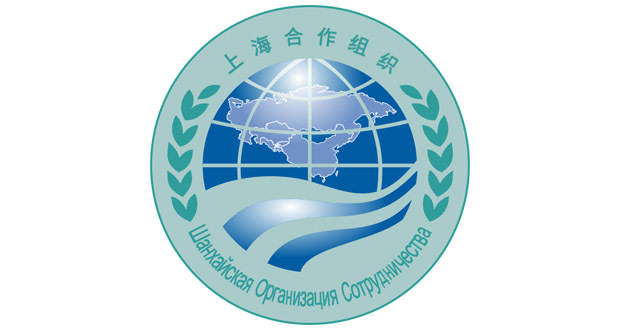 The heads of state signed and issued the Dushanbe Declaration, signed the Agreement among the Governments of SCO Member States on International Road Transport Facilitation, and approved amendments to the Procedures of Granting SCO Membership and the Memo Template of Obligations for Applicant States to Join the SCO. On July 10, 2015, the 15th meeting of the SCO Heads of State Council was held in Ufa, Russia. The theme of the meeting was to plan the future development of the SCO and coordinate stances on the development of the SCO and on major international and regional issues. President Xi Jinping delivered an important speech entitled Unite and Help Each Other and Address Challenges Together to Promote the SCO for New Leapfrog Progress. The heads of state jointly signed and issued the Ufa Declaration, approved a series of documents including the SCO Development Strategy Towards 2025, signed the Agreement on Border Defense Cooperation among SCO Member States, passed resolutions on starting the procedures of admitting India and Pakistan into the SCO and other resolutions, and issued a statement on the 70th anniversary of the victory of the World Anti-Fascist War by the heads of state of SCO member states, a statement on coping with drugs by the heads of state of SCO member states and a Press Communique of the meeting. On June 24, 2016, the 16th meeting of the SCO Heads of State Council was held in Toshkent, the capital of Uzbekistan. President Xi Jinping delivered an important speech entitled Promoting Shanghai Spirit, Consolidating Solidarity and Mutual Trust, and Comprehensively Deepening the SCO Cooperation. The heads of state signed the Tashkent Declaration on the Fifteenth Anniversary of the SCO and other resolutions including those on the approval of the Action Plan for 2016-2020 on Implementation of the SCO Development Strategy Towards 2025, approval on the adoption of the Memorandum of the Obligations on the Entry of the Republic of India to the SCO, approval on the adoption of the Memorandum of the Obligations on the Entry of the Islamic Republic of Pakistan to the SCO, approval of the SCO Secretary General's Report on the Past Year's Work, and approval of the 2015 Work Report of the Executive Committee of the SCO Regional Anti-Terrorism Structure on Regional Anti-Terrorism Structure. They also witnessed the signing of such documents as the Memorandum of the Obligations on the Entry of the Republic of India to the SCO and the Memorandum of the Obligations on the Entry of the Islamic Republic of Pakistan to the SCO. On June 9, 2017, the 17th meeting of the SCO Heads of State Council was held in Astana, the capital of Kazakhstan. President Xi Jinping delivered an important speech entitled Upholding Solidarity, Coordination, Openness and Inclusiveness and Building a Common Home of Security, Stability, Development and Prosperity. Leaders present at the meeting analyzed the SCO's development status quo, mission and prospects, exchanged views on major international and regional issues and reached broad consensus. India and Pakistan were formally given SCO membership at the meeting. The meeting decided that China will host the next meeting of the SCO Heads of State Council in 2018, and take over the SCO rotating presidency. The heads of state signed the Astana Declaration of the SCO Heads of State, the SCO Convention on Countering Extremism, the Resolution on Finalizing the Procedures of Admitting the Republic of India into the SCO and Granting It SCO Membership, the Resolution on Finalizing the Procedures of Admitting the Islamic Republic of Pakistan into the SCO and Granting It SCO Membership, the Resolution on the Proportion of the Membership Fee of SCO Member States under the Background of Granting the Republic of India and the Islamic Republic of Pakistan SCO Membership, the Resolution on SCO Secretary-General's Report on the SCO's Work in 2016, the Resolution on SCO Council of Regional Anti-Terrorist Structure's Report on Its Work in 2016, the Resolution on Regulations of Representative of SCO Regional Anti-Terrorist Structure and other documents.